Spent an afternoon at Sydney Australia’s Star City Casino this week. This is a huge casino with lots of blackjack tables. However, they are not worth playing as they all use automatic shufflers. Minimum bets that I saw started at $20 Australian which is about $15 US. 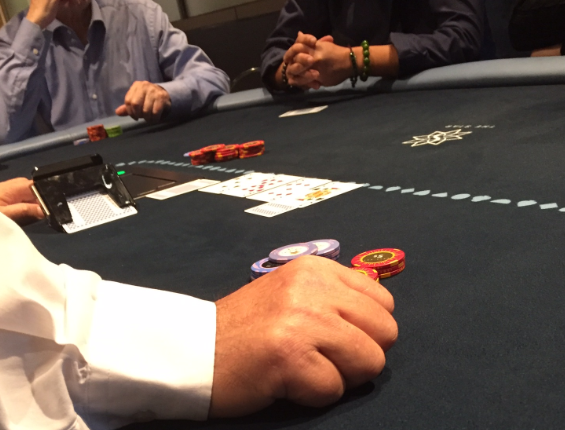 I did not check the high-pit areas which may or may not have regularly dealt blackjack. They also have a large poker room which I played a few hours in. Unfortunately, their rake is awful. I played in a small 2/3 No Limit Holdem game where there is a time rake AND and regular pot rake. Charge is $5 / hour plus 10% up to $10 rake. What was interesting is the dealer uses a single deck plastic box to deal the cards from. I was told the dealer can deal faster and have both hands free at all times. I left with a win for the session. I also played for 30 minutes at the craps table and had another small session win. Interesting to note that the don’t pass/come bars deuces. In the USA, the don’t pass/come bars 12. No difference in the odds. My Wife and I spent 6 days in Sydney and we also took a 10 day Celebrity Solstice cruise around New Zealand. Ironically, the blackjack games on the cruise ship were better then the games in Sydney. Of course, the cruise ship has their token single deck game with 6:5 rules, but their shoe games were decent: $10/$25 min tables, 8DK, double any, H17, with 1.5 – 2 decks cut off. Occasionally, a dealer would cut off only 1 deck.